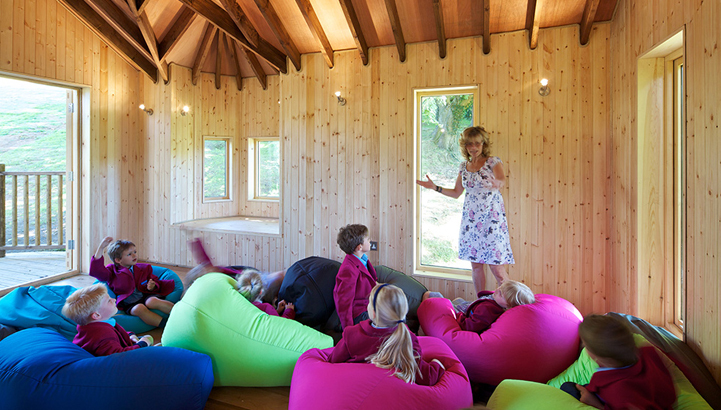 It may sound like the stuff of children’s novels, but treehouse classrooms are increasingly recognised as facilities that can offer new and engaging learning experiences to school children of all ages. Blue Forest have been approached by schools across the UK to build treehouses to be used not only as extra teaching spaces but as a way of reimagining the educational environment. A specially constructed treehouse can provide an aesthetically pleasing space that blends naturally into its surroundings. 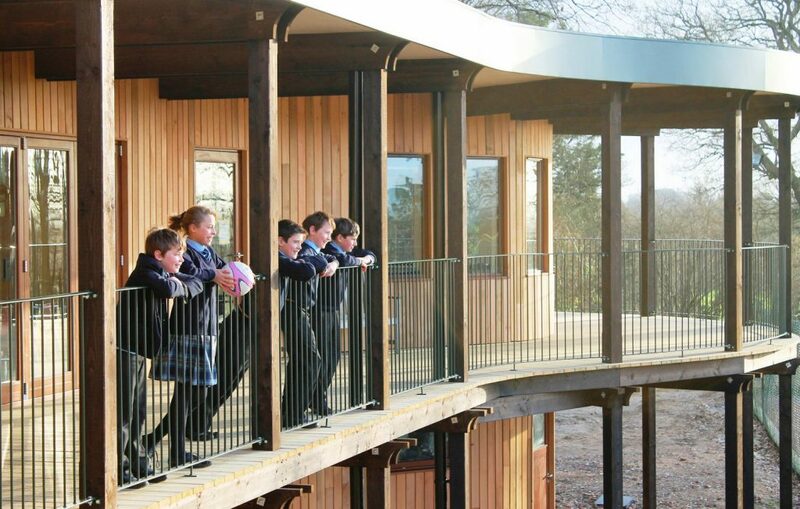 The Cranleigh School Eco Classroom was designed to the vision of its headmaster who desired unique and modern classroom facilities which could be seamlessly integrated into the school grounds. It’s a much more inspiring way to utilise space than the usual brick buildings or porta-cabins often used by schools and will inevitably cultivate more creativity in the users. Not only a more aesthetically pleasing alternative to standard prefabricated extension options, treehouse classrooms can also be cost-effective. 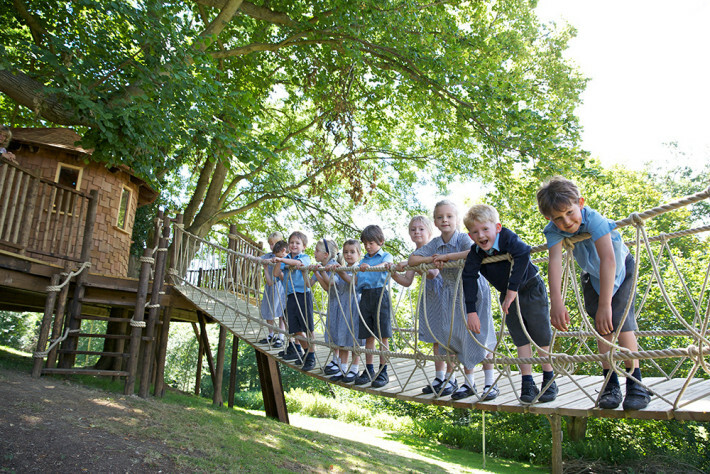 Schools such as Feltonfleet School in Surrey have had a treehouse constructed as an economical extension of the teaching space of the school, whilst also providing a useful play feature for the school grounds. Treehouses can also be constructed using sustainably harvested timber. Rainwater tanks and solar panels can be incorporated in their construction to further reduce the building’s carbon footprint. Treehouses can be invaluable to schools who strive to meet environmental commitments. Benenden School Eco Classroom was built to be entirely independent of mains electricity and uses composting toilets and a rainwater harvesting system to replace utility supply. This instills in the pupils the value of sustainable building whilst making it fun. Treehouses can provide flexible, light and spacious learning environments for children, and are even being used by hospitals to create safe spaces for vulnerable children to learn. 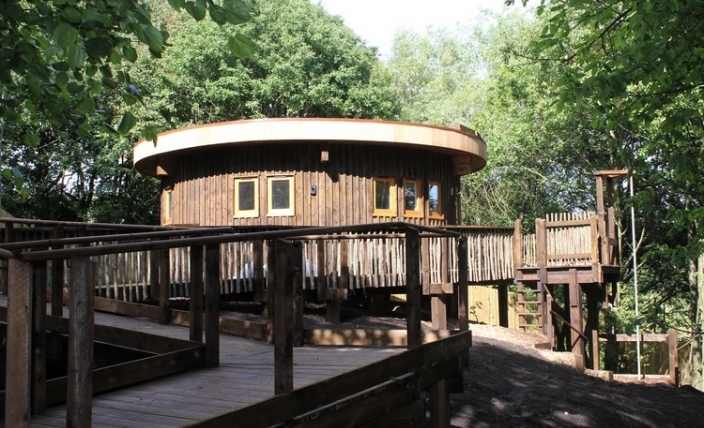 The recently completed Hope and Horizon NHS Woodland Retreat, built by Blue Forest, provides a stimulating environment for young people who suffer from a range of mental health difficulties to complete school work, undergo therapy and connect with the nature around them. 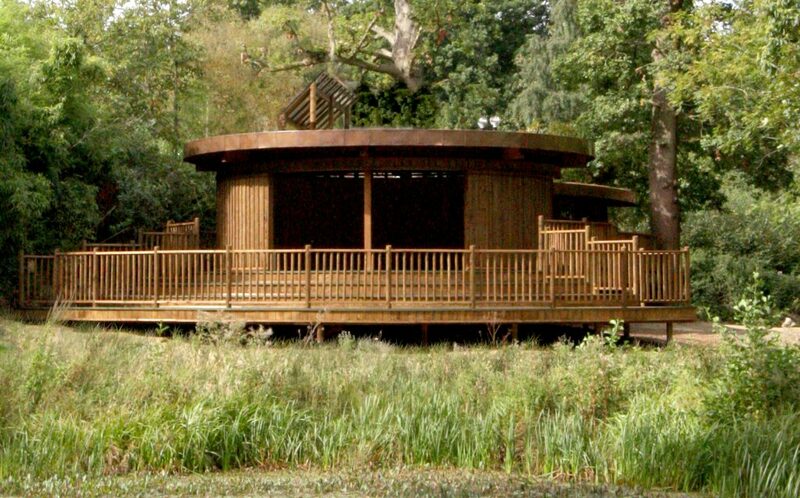 A treehouse can be used as a specific classroom or as a more freeform learning environment. Either way, moving out of the traditional classroom space can be beneficial to children – and teachers. Children are able to engage in creative play and interact with nature as well as learn in a bright, airy and spacious place. The separation of space from the main school will likely also inspire new ideas and games. Just as businesses are experimenting with new office practices and layouts, schools are eager to discover how the most productive and creative work can be achieved. By taking a break from the routine of the average school day children are more likely to avoid boredom and restlessness, remaining focussed on their school work throughout the day. In smaller treehouse extensions children have the opportunity to receive the one-on-one attention and support from teachers crucial to maintaining their interest and enthusiasm.